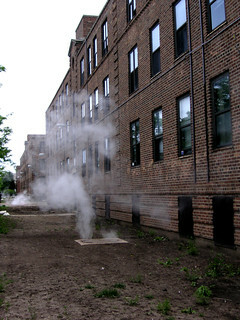 Why is there steam coming from the ground at housing project on Diversey between the river and Damen? Someone has built iron fences around them as if they are natural geysers. Learn about the ancient heating systems that keep the steam coming.